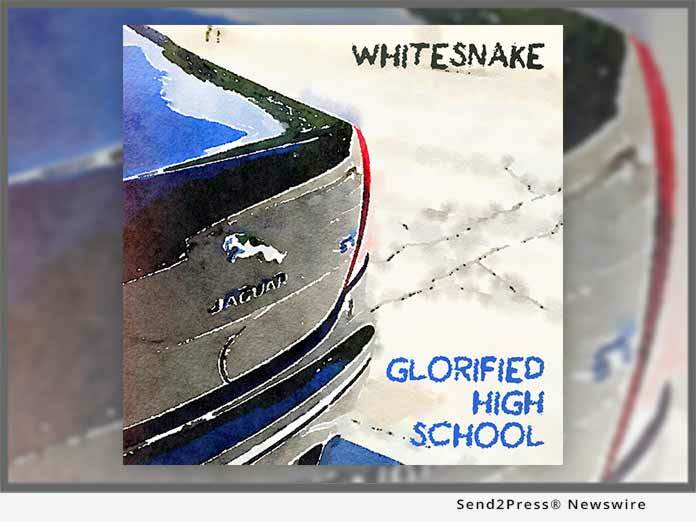 Lion Eagle Productions, LLC today announced that - after covering such diverse artists as Rush, Bruce Hornsby and Motley Crue - Glorified High School (GHS) recently realized its greatest ambition by recording a track-for-track reimagining of the 1987 "Whitesnake" album. This new album of cover songs takes popular '80s rock songs to new places sonically and emotionally. One year after the original "Whitesnake" album's 30th anniversary, these new renditions are as far from sound-alikes as possible and take each song in a completely new direction, uncovering new layers of depth and emotion (not to mention featuring female vocalists). According to Glorified High School's founder Doug Astrop, "When Glorified High School covers a song, our goal is to make the new version sound completely different from the original, taking it to a new place musically. We often change the tempo, modify the kay signature or scale and/or reverse the gender of the vocalist to ensure the new recording is unquestionably distinct." On "Whitesnake," Glorified High School transforms "Crying in the Rain" into a yearning ache for more, "Bad Boys" becomes a celebration of the free spirit, "Still of the Night" slows to a moody crawl, "Here I Go Again" examines a longing for lost love and purpose, "Give Me All Your Love" takes on a melancholy timbre, "Is This Love" is recast as a dark manifesto, "Children of the Night" slides into a jazzy and bouncy celebration of the joys of music, "Straight for the Heart" morphs into a soaring and sparse love song, and "Don't Turn Away" airs a mournful plea to an indifferent lover. No one can match the grizzled rasp and towering vocal range of David Coverdale, one of rock's greatest singers, but Glorified High School has illuminated the power of these great songs by taking them to new realms and thereby paying them the ultimate tribute.